For centuries, fish has been recognized as an excellent fertilizer source. For this reason we have developed multiple all natural liquid fish formulas for organic and conventional crop production. 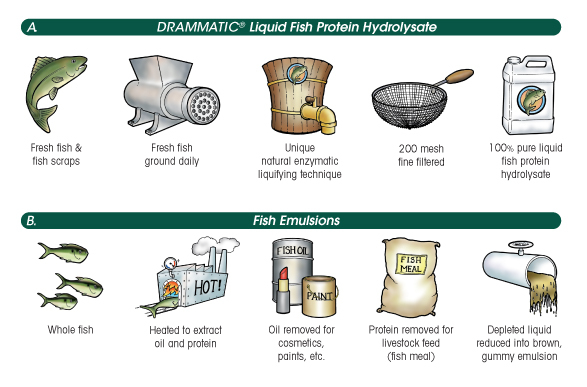 Drammatic fish protein hydrolysates contain the natural oils and proteins of fish, which break down slowly to become available over a longer period of time. For more information contact your Drammatic Liquid Fish distributor or Dramm directly at the numbers listed at the left. You may also email us with questions.